I'll start with my absolute favourite - Ezra and Gil. 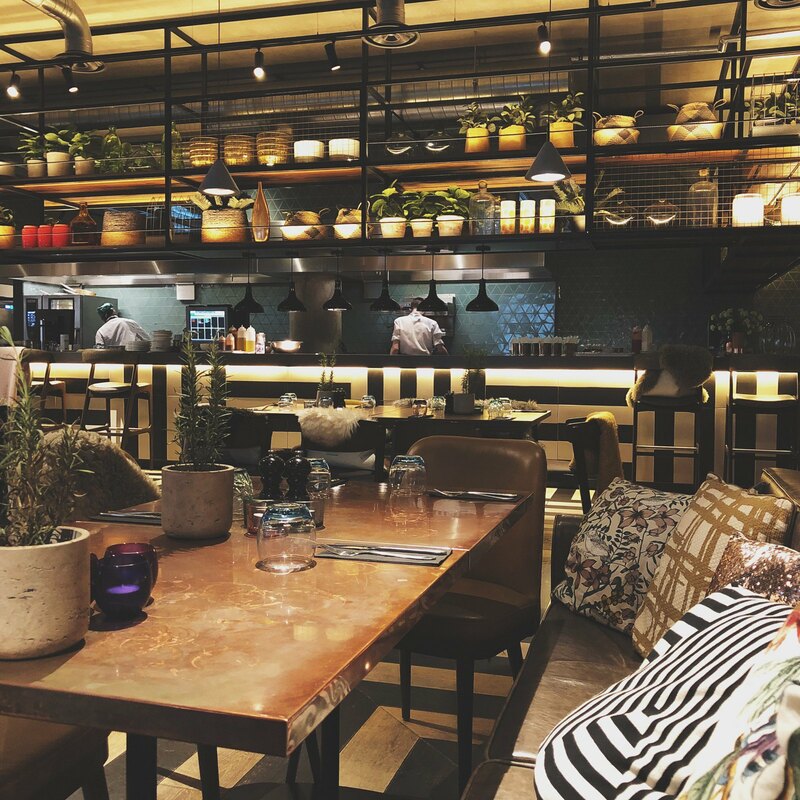 Located in the city's popular Northern Quarter, this open plan eatery operates a no reservation policy so at weekends, get down early or be prepared for a wait. But believe me when I say it's worth it. 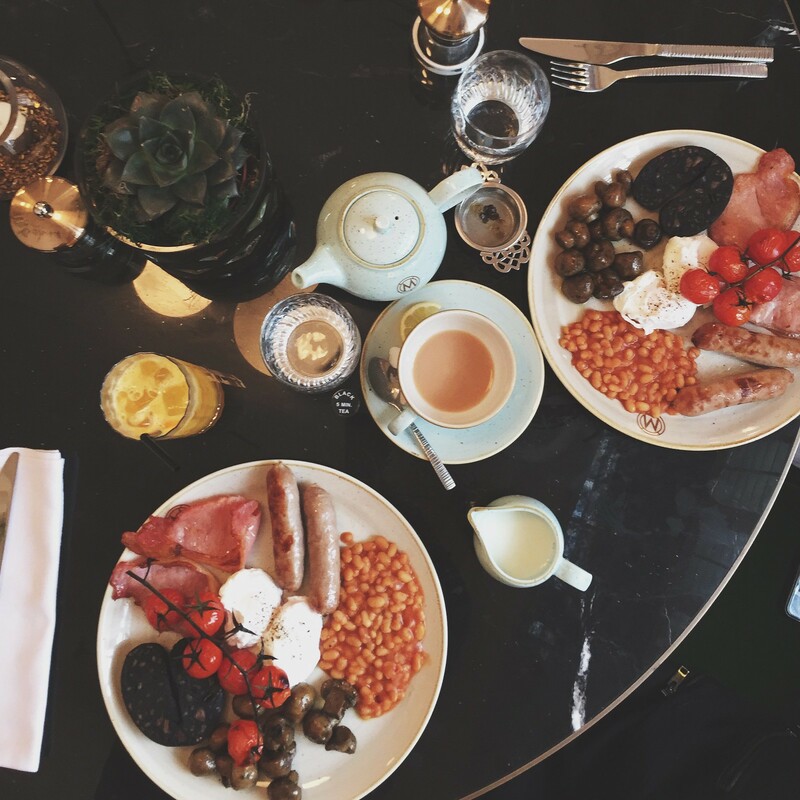 Their Classic E&G Breakfast is out of this world, and I never order anything else. It's also a fab place for people watching and getting some work done, and never a place I've felt weird dining alone in. 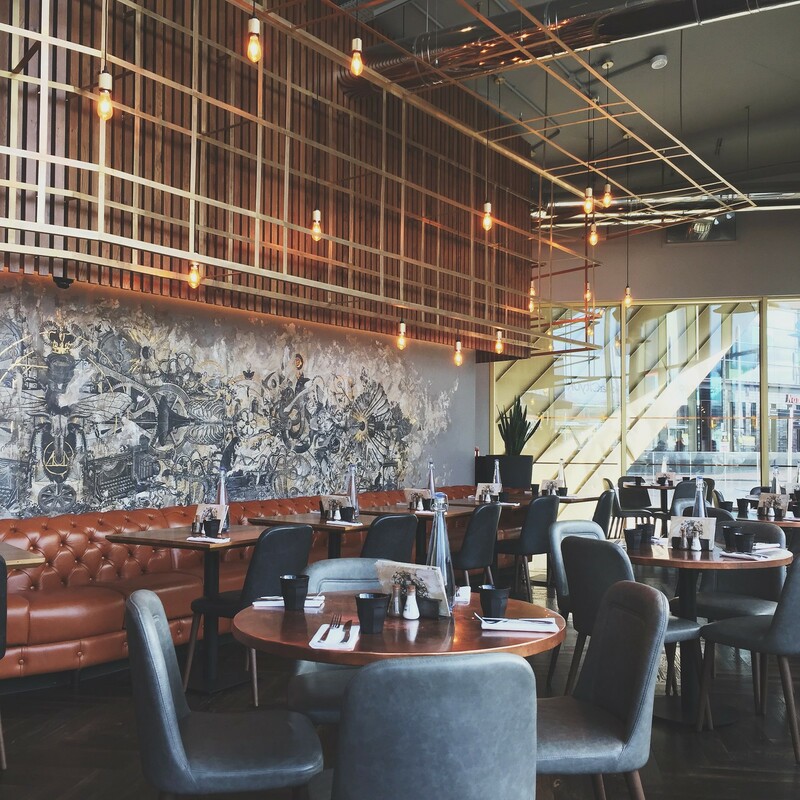 Across the other end of town you hit Spinningfields, full of slick bars and restaurants. Since moving to this end of town, The Refinery is my local breakfast hot spot, and it's not just its location that earned its place on my list. 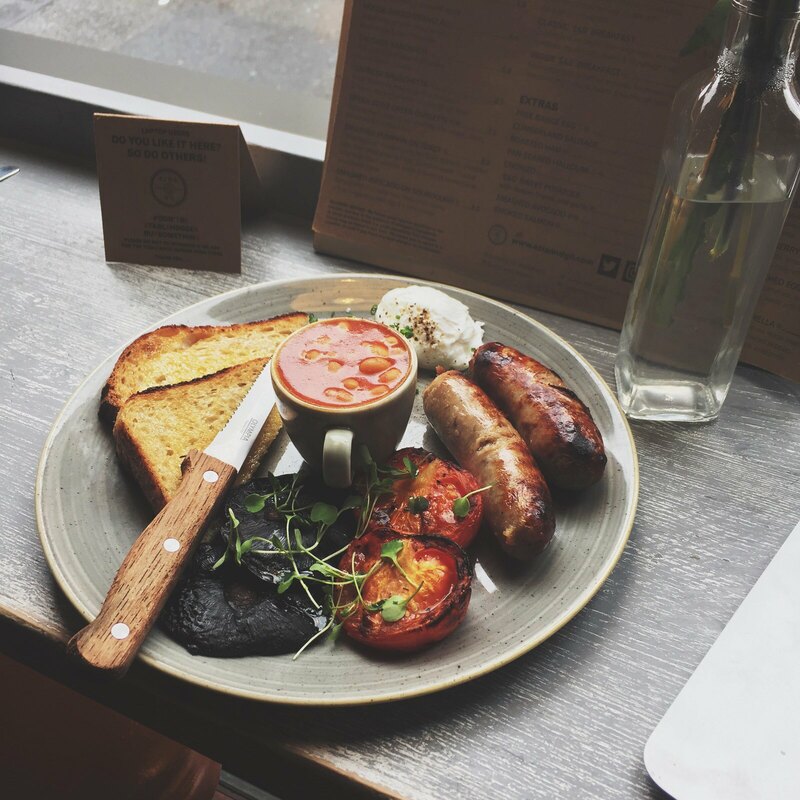 The Drake and Morgan venue is super cosy and homely and their full English is delicious, especially the sausage. 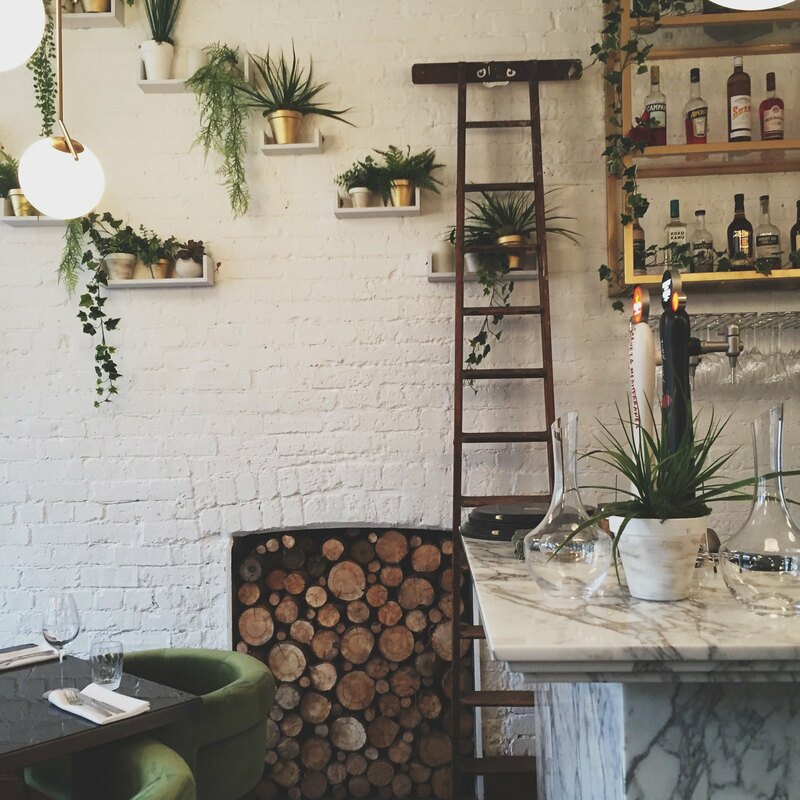 The venue offers bottomless brunch on the weekends, but be warned, it gets booked up weeks in advance. Speaking of bottomless, it's my favourite place in town for that. The famous NQ gem extended to a second branch not too long ago across town to the Great Northern Warehouse. Both very different in space, they still ooze the cute charm their name suggests. Their cakes are an Instagrammer's dream, and people come for these alone. My brunch recommendation? Eggs Benedict washed down with an Oreo Milkshake. 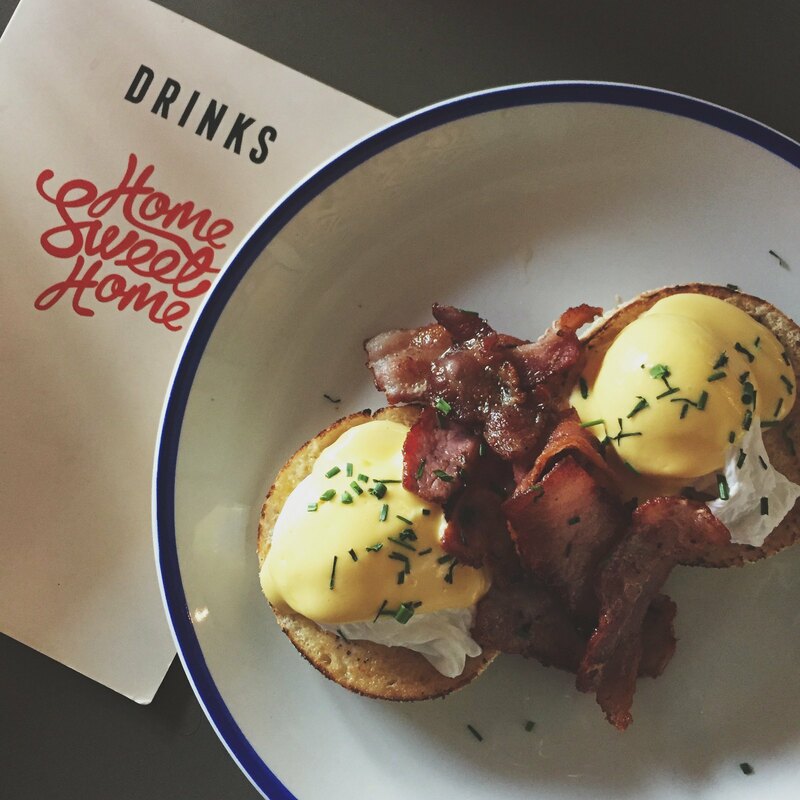 Their Eggs Bennie is my favourite in town, and so far, no-one in my eyes does it better. 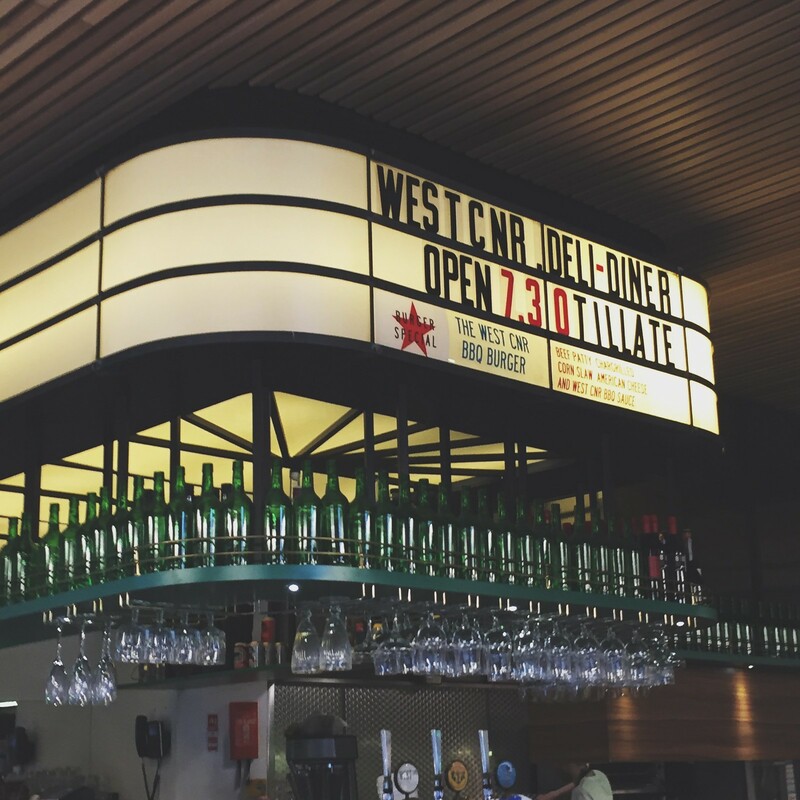 Another NQ nomination, West Cnr has a reto feel about its interiors and sells fizzy vimto, which I don't know why, but I love. You can prop up a stool right by the kitchen and watch all the action go down. I recommend the pancakes here, just make room for their big portion size. People queue down the road for this one. Known for pancakes, and you'll know why if you ever order them, they do much more than that. 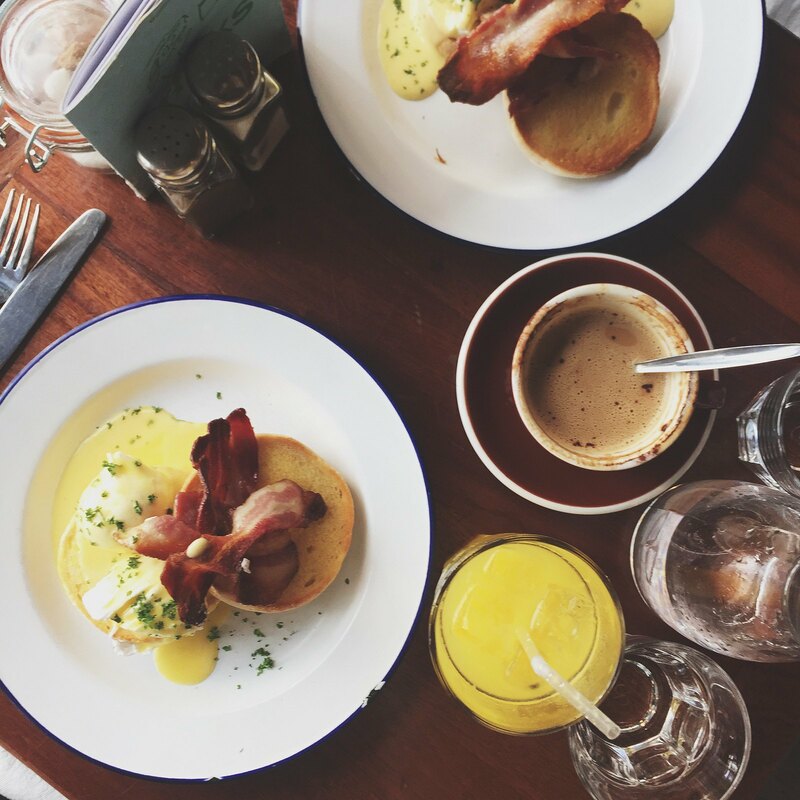 They probably do the most extensive brunch menu in Manchester, so if you like choice, it's definitely one to check out. But be warned, it's another 'make sure you've left enough room' restaurant. Despite Manchester having two city centre Alchemists, my fave is the Media City branch. 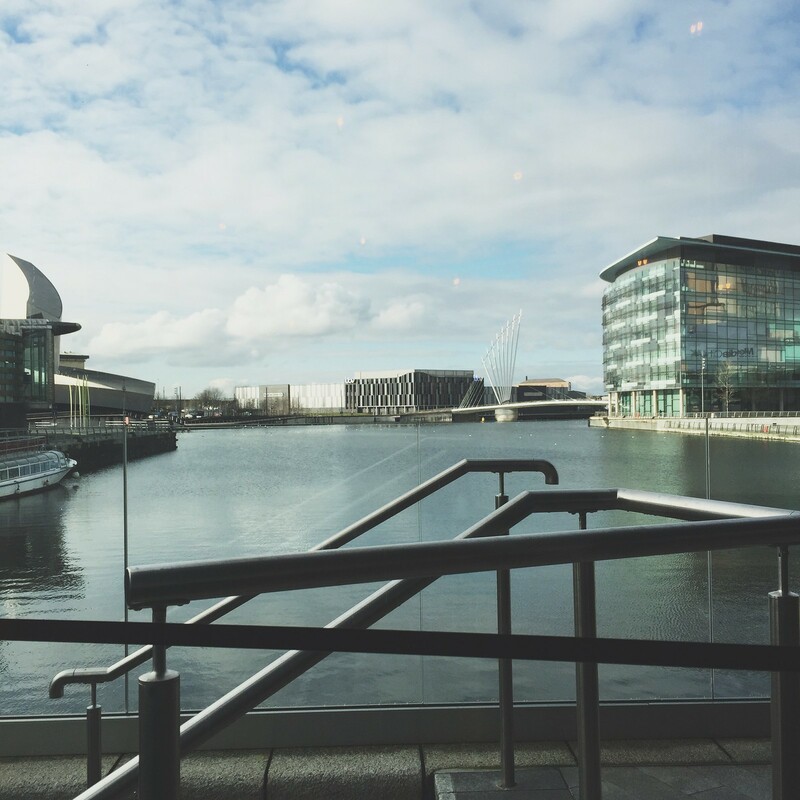 With unspoiled views over Manchester's ship canal and an outside bar and terrace, it's the perfect place to start your day. Ask for a window seat, or if it's warm enough, they may even serve food outside. 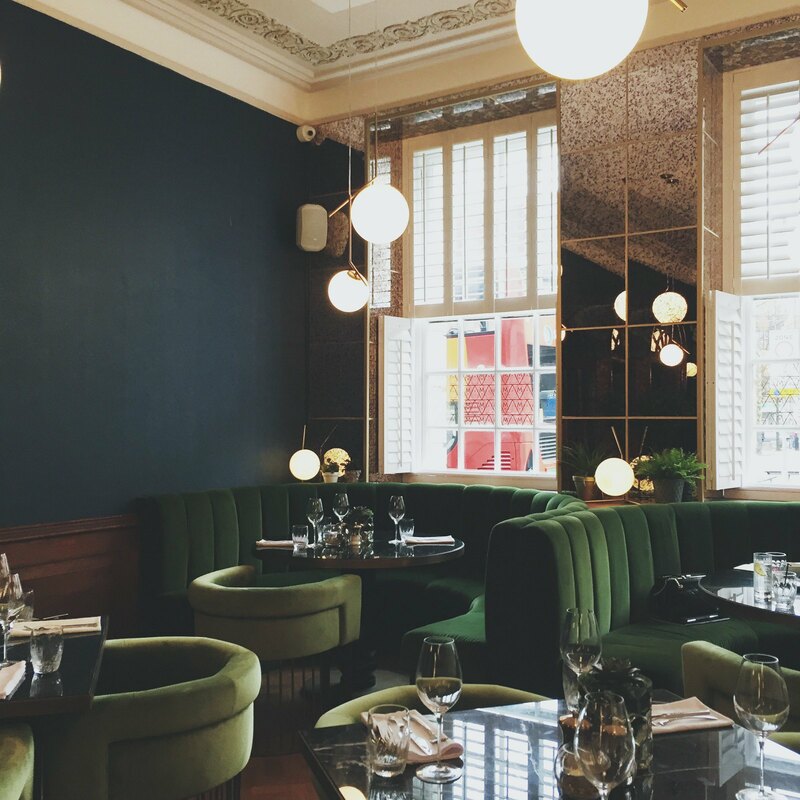 Nestled on the corner of both Tariff Street and Dale Street, this place has a cool interior and their scrambled eggs are my favourite in town. They also do fab gin cocktails as a side note. 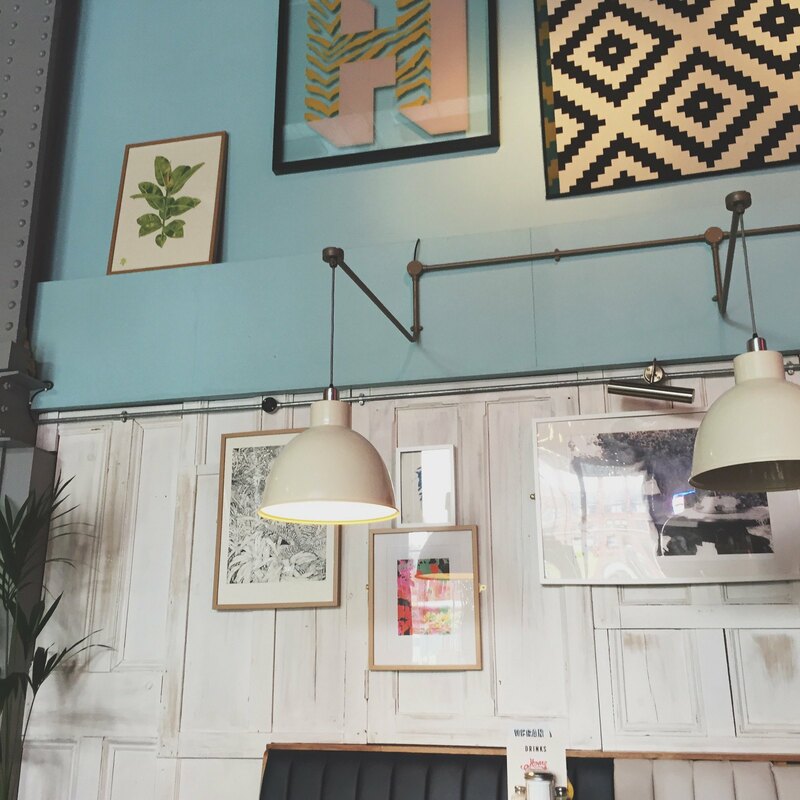 Located underneath Oxford Road station, sits Gorilla - an eatery and live music venue. Their Eggs Benedict is also in my top five, and I'm sure you can see why from that photo.